With Independence day around the corner, it’s no surprise that I’m thinking about what desserts I want to serve. It’s so easy to add red and blue to your table with simple blueberries and strawberries. However, don’t forget the white! This time the white is from a delectable dessert called Pavolva. (That’s a great word to know if you’re playing scrabble.) It reminds me of a meringue but bigger. It’s light but sweet and perfect for July 4th! 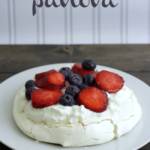 Pavlova is a dessert that is meringue-based. It’s named after the Russian ballet dancer Anna Pavlova. I’m wondering as a ballet dancer, if she ever ate this delicious dessert. 🙂 This dessert is light on the inside with a crunch on the outside. Yum! Preheat your oven to 200 degrees Fahrenheit. 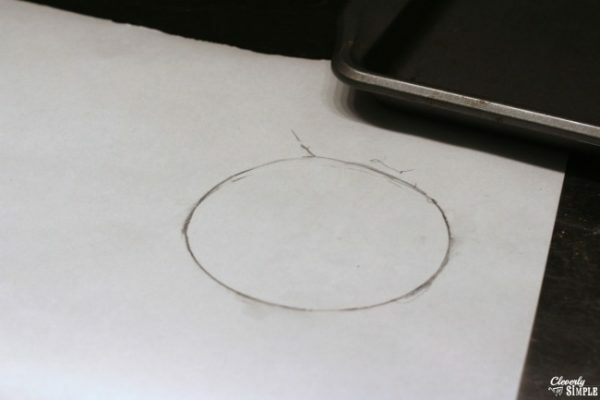 Using parchment paper, draw a circle on the backside. A cereal bowl works perfect. You want it to be roughly 7 inches in diameter. The circle is going to act as a guide when you get ready to place the pavlova onto the baking pan to bake. Combine sugar and corn starch in a bowl and set aside. 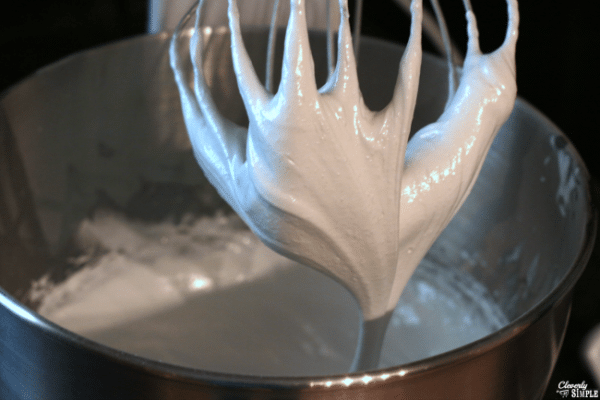 In a mixing bowl, on medium speed, beat egg whites and lemon juice until frothy. Once eggs are frothy, turn mixer speed to medium high and gradually add in sugar. Continue to beat eggs until shinny and stiff peaks form. 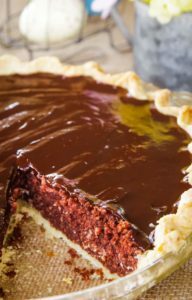 Add in vanilla extract and continue to beat until egg whites no longer feel grainy from the sugar. 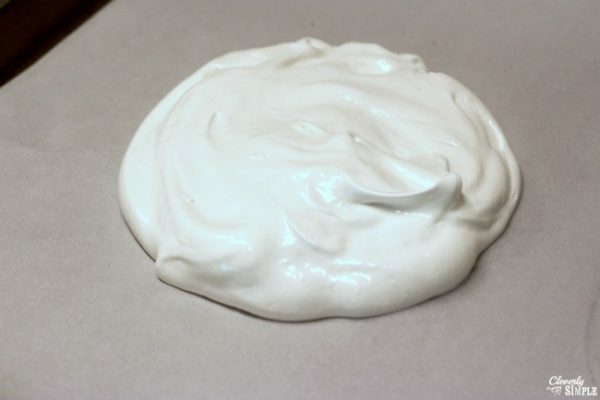 Pour egg whites into the center of the circle that was drawn on, and fill the entire circle. Bake at 200 degrees for 2 hours, after 2 hours, turn off heat and allow to rest in oven for an additional 2 hours. 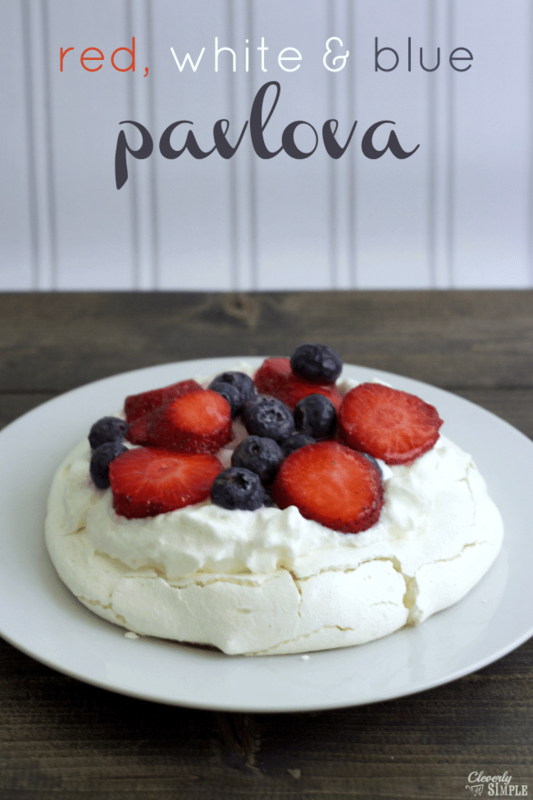 If the edges of the pavlova start to brown, reduce heat to 175 degrees and continue to bake. 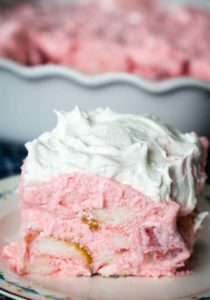 Before serving, crack the top by gently hitting it with a spoon and top with whipped cream and berries. This is one of those conversation piece desserts. It’s different than the norm while still providing the patriotic red white and blue! Enjoy! The perfect patriotic treat made with egg whites, sugar and a few other ingredients. Preheat oven to 200 degrees Fahrenheit. Using parchment paper, draw a circle on the backside roughly 7 inches in diameter (this will act as a guide) and place on a baking sheet. In a separate bowl, combine sugar and corn starch. 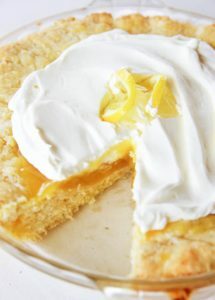 In a mixing bowl, on medium speed, beat egg whites and lemon juice until frothy. Once eggs are frothy, turn mixer speed to medium high and gradually add in sugar. Continue to beat eggs until shinny and stiff peaks form. 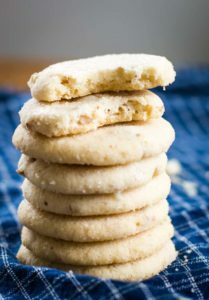 Add in vanilla extract and continue to beat until egg whites no longer feel grainy from the sugar. Bake at 200 degrees for 2 hours, after 2 hours, turn off heat and allow to rest in oven for an additional 2 hours. Before serving, crack the top by gently hitting it with a spoon and top with whipped cream and berries. 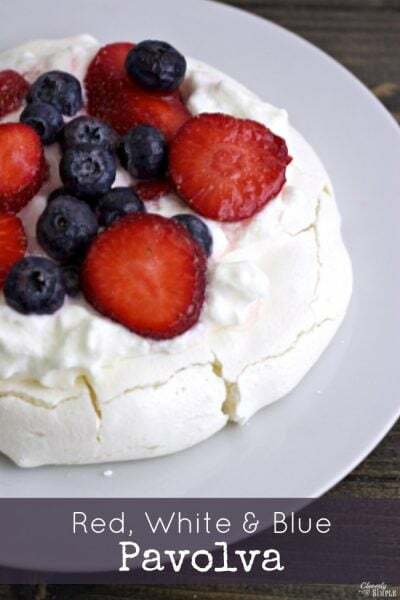 *If edges the edges of the pavlova start to brown, reduce heat to 175 degrees and continue to bake.